The race for the House of Representatives’ seat representing New York’s first district, which includes Stony Brook, is becoming one of the most expensive in the nation. According to OpenSecrets.org, a website that keeps track of donations to political campaigns, $4 million has been spent on the race between Republican incumbent Lee Zeldin and his Democratic challenger Anna Throne-Holst, making it the tenth-most expensive of the 435 house races this election cycle. Zeldin’s campaign committee has held a considerable fundraising advantage so far. It has raised $3.1 million this election cycle — nearly triple the national average. At just under $2 million, Throne-Holst has seen her campaign raise a considerable amount of money as well. “This is a race of great importance, with an opportunity where an incumbent has a decent chance of losing his seat,” Andrew Grunwald, Throne-Holst’s campaign manager, said. Zeldin faces a very difficult path to reelection, even with his fundraising advantage. The Washington newspaper Roll Call named him the seventh-most vulnerable representative in America this past July. Additionally, his name was included in the National Republican Congressional Committee’s Patriot Program, a GOP program that provides funds to incumbents at risk of losing their seat. Grunwald said that the Throne-Holst campaign will be relying on grassroots participation to make up for the funding deficit. The Democrat’s campaign has used Zeldin’s fundraising advantages as a line of attack. “Zeldin’s allies are attacking us with the help of dark money,” a Throne-Holst campaign email directed toward website subscribers, said. 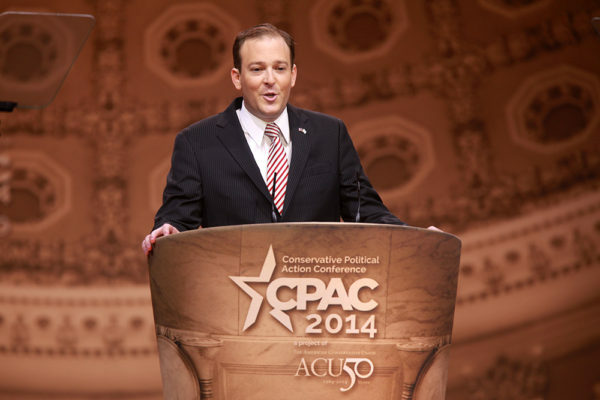 Zeldin did receive a $10,000 contribution from Koch industries. While it is true that only six percent of Zeldin’s budget comes from small donors, Throne-Holst receives just ten percent of hers from small donors. In an emailed statement responding to Throne-Holst’s attack, Jennifer DiSiena, Zeldin’s press secretary, dismissed Grunwald’s sentiment as partisan spin. Democrats had held the first district seat for 22 of the 28 years prior to Zeldin’s election and have narrowly won the district in four of the last six presidential elections, including the last two.